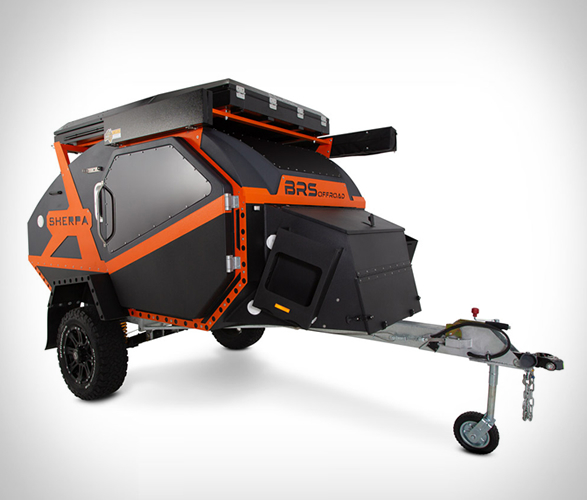 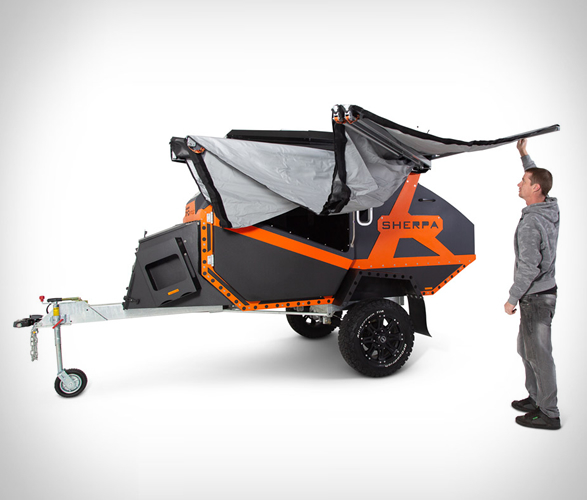 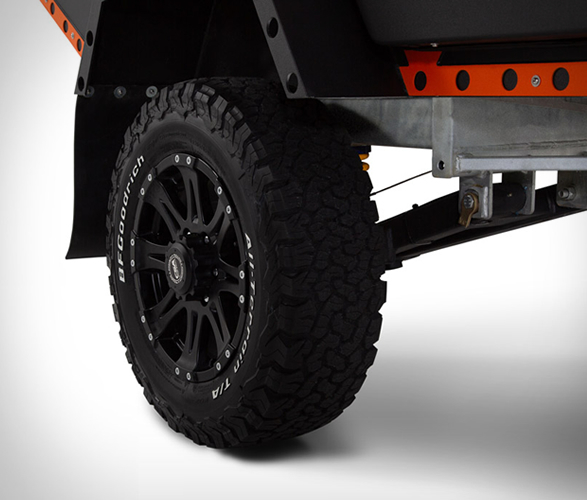 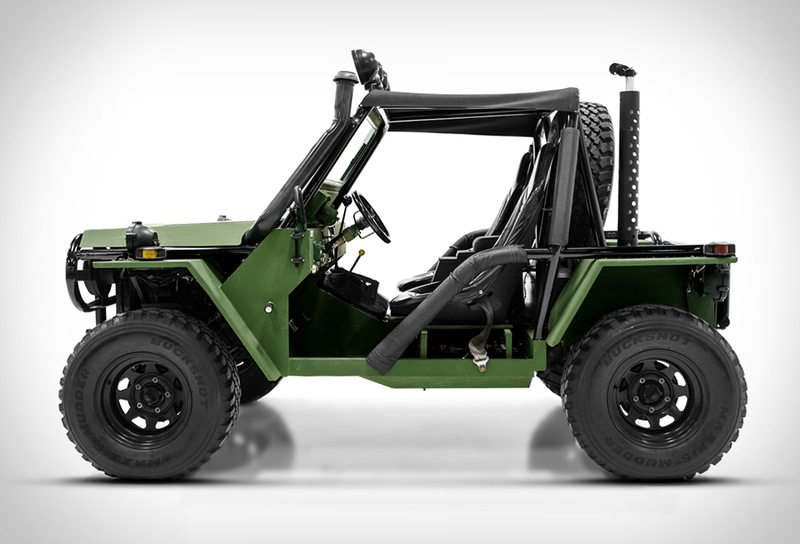 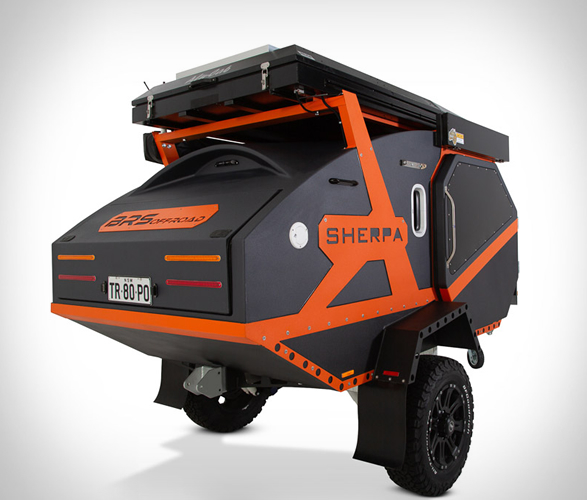 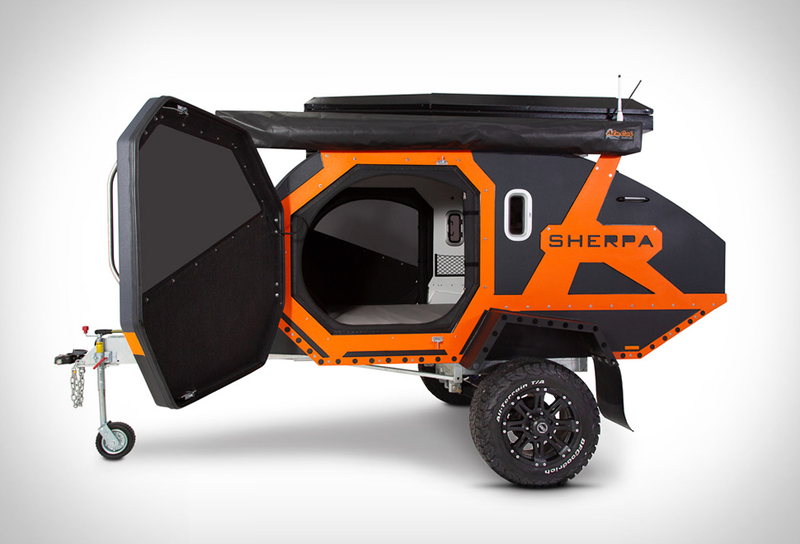 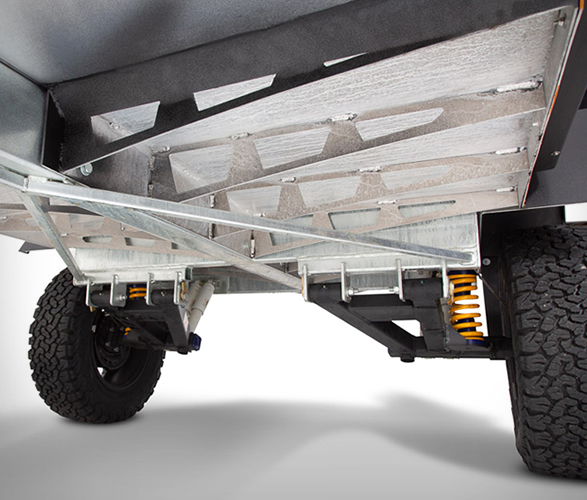 The Sherpa is an off road trailer unlike anything else on the market. 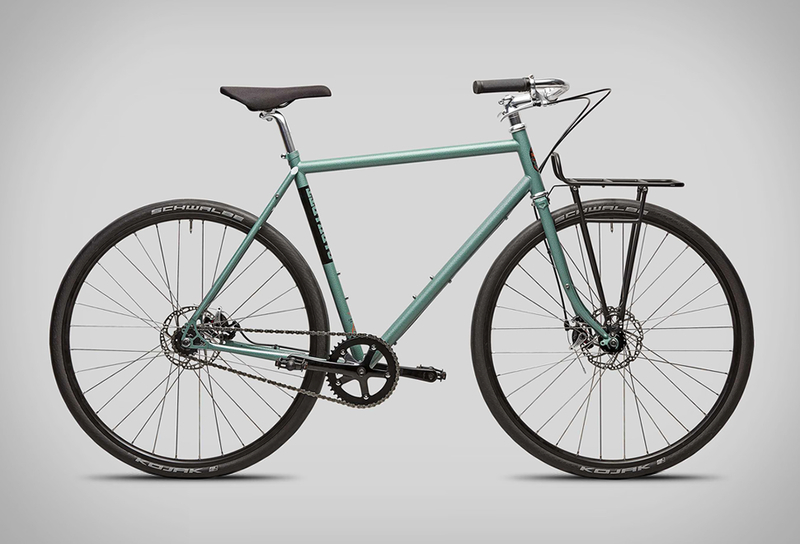 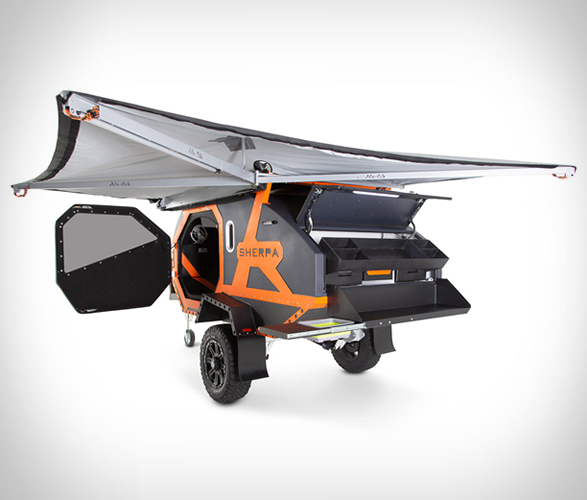 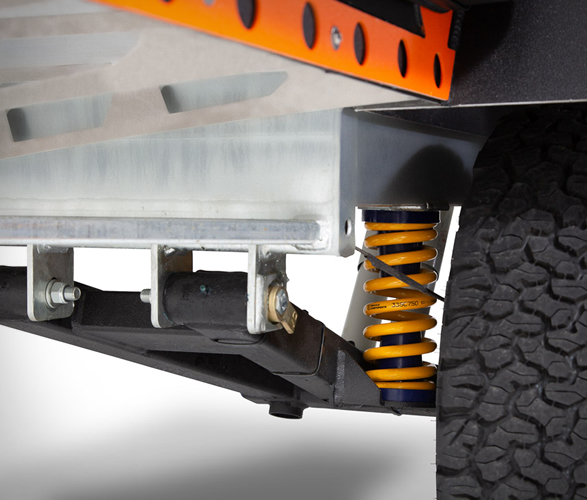 The badass camper is an off-road, hard-shell, pull-behind pod with best-in-class clearance and independent suspension on the two wheels. 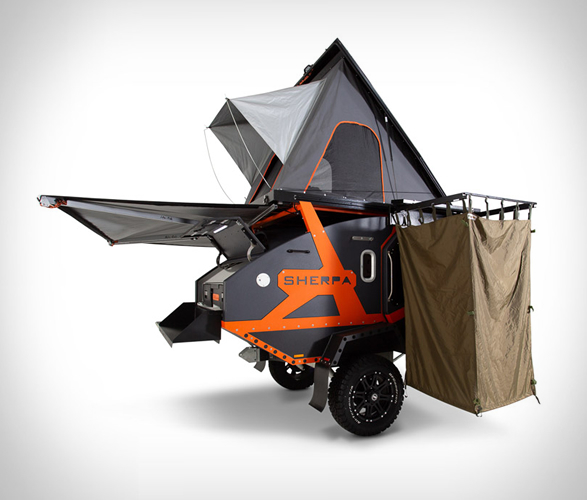 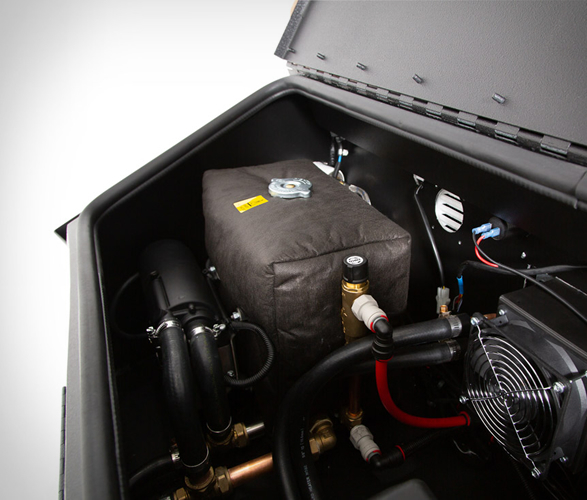 With a hot-dipped galvanized chassis, designed specifically to cut down on weight without sacrificing performance, the rugged camper sleeps two on a queen mattress, and comes complete with a TV, stereo, and diesel heating. 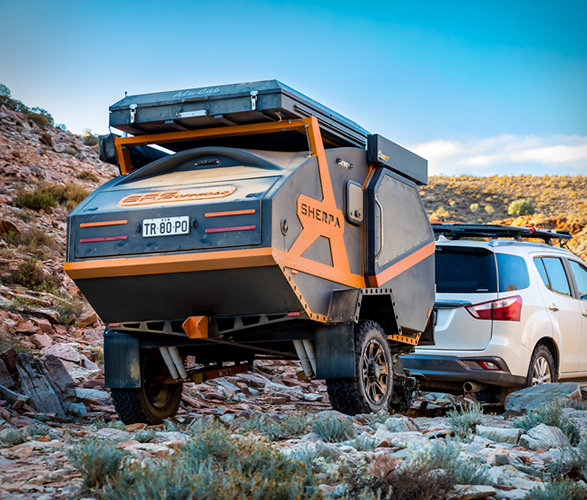 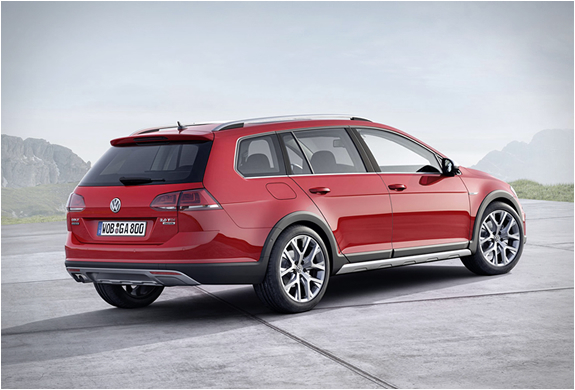 The interior also lets you fall asleep with a view of the sky overhead, and it also features a pop-up rooftop tent, an outdoor shower mated to a 200L water bladder, a two-burner stove, and much more.